The perfect Devious Diamond Drop Ring is made up of pure 18KT gold it has unique ring design which is exquisite, as its detailed diamond placement is done with utmost care, just for you. The detailing of diamond flower in the middle of this beautiful ring makes it a unique ring. 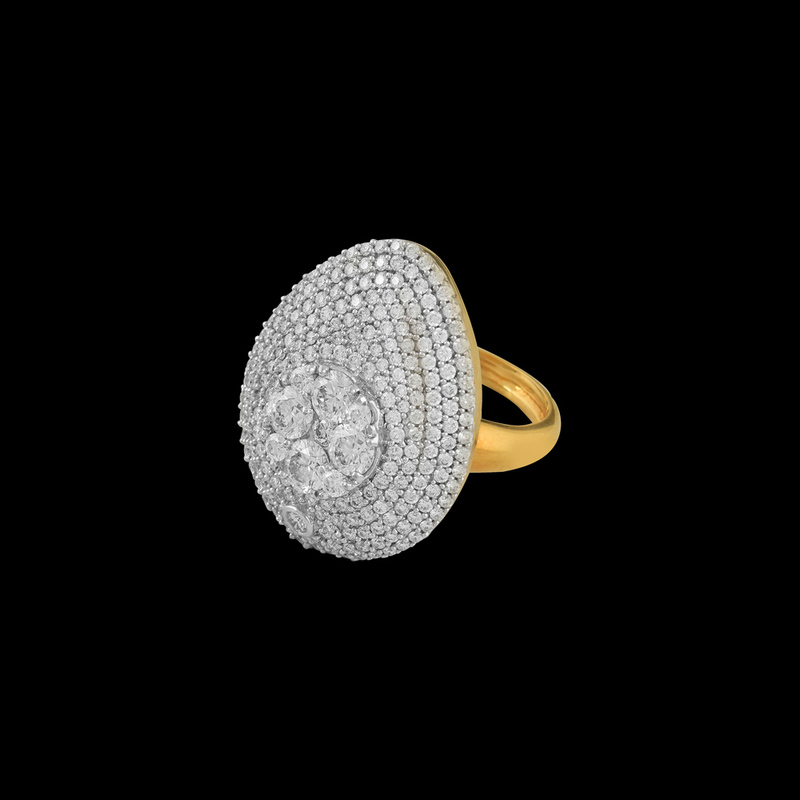 This magnificent diamond ring will definitely add to the elegance of your attire.